COLUMBUS, Ohio – Owners of farms, forests, nurseries and greenhouses that use pesticides in agricultural plant production now have access to a new manual that outlines the new regulations and safeguards under the revised 2015 Worker Protection Standard. The new manual, called “How to Comply With the 2015 Revised WPS for Agricultural Pesticides,” was recently released by the U.S. Environmental Protection Agency and details the important new rules that impact employers of agricultural workers, said Mary Ann Rose, program director for Ohio State University Extension’s Pesticide Safety Education Program. OSU Extension is the outreach arm of the College of Food, Agricultural, and Environmental Sciences at The Ohio State University. The rules impact thousands of growers statewide, Rose said. They include requirements for safety training, posting of application information, application signage and verbal warnings, restrictions during applications, decontamination supplies, and emergency assistance. “This new compliance manual is a must-read document if you employ agricultural labor or pesticide applicators who treat crops,” she said. “Horticultural growers such as greenhouses and nurseries will be most affected by these changes because they employ a lot of workers. Pesticide handlers and early-entry workers now must be at least 18 years old. Agricultural workers and pesticide handlers must receive annual safety training, and the content has been expanded. The grace period for new employees is eliminated, and workers must now be trained before entering areas that have been restricted due to pesticide application during the past 30 days. Safety Data Sheets must be posted with additional pesticide application information at a central display. If required to use a respirator by the label, handlers must have a medical evaluation, fit test and training. Outdoor production areas will require posting with warning signs if the pesticide used has a restricted entry interval exceeding 48 hours. 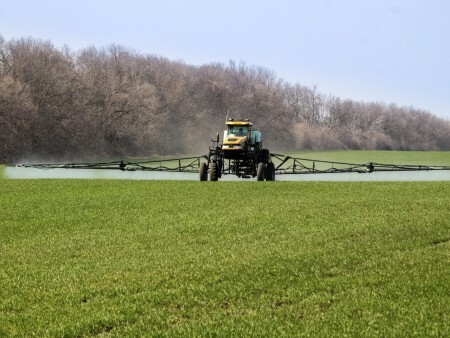 A new requirement stipulates that records of pesticide applications, training verification, and respirator compliance must be maintained for two years. Workers or their designated representative may request pesticide application records. Compliance with most of the new rules will be required by January 2017, Rose said. However, new training content, centrally displayed information, and application exclusion zone restrictions will not be required until January 2018, she said. Rose said another change for growers is that the family exemption under WPS has been expanded to include in-laws, grandparents, grandchildren, aunts, uncles, nieces, nephews and first cousins. “The family exemption eliminates many WPS requirements, including the handler minimum age, but not the requirement for personal protective equipment, restricted entry intervals, or other restrictions during applications,” she said. The new compliance manual can be downloaded for free at pesticideresources.org/index.html. The Ohio Pesticide Safety Education Program will offer workshops on new WPS requirements this winter, Rose said. The Ohio Pesticide Safety Education Program provides training, education and outreach to pesticide applicators about the safe, effective and legal use of pesticides. The program works with farmers, businesses and public agencies to protect human health and the environment and serves as a critical part of job training and business growth in Ohio.